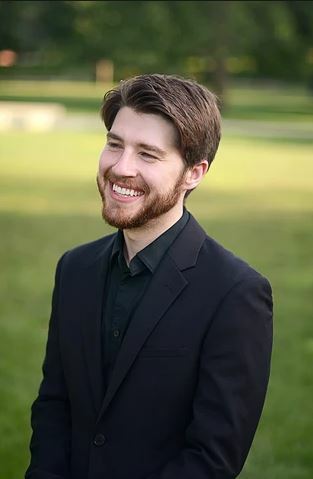 ​Griffin Candey is an American opera composer fully and dutifully committed to creating vocal and theatrical works (opera, ballet, and song) that, in approaching forward-looking subject matter, aim to both expand and preserve these genres. Candey's latest opera, Sweets by Kate, premiered at the Midwest Institute of Opera in July 2015, with subsequent performances scheduled at Knoxville's Marble City Opera in Spring 2016, with San Francisco's Opera on Tap in Summer 2016, and in New York City in Spring 2017 with OperaRox Productions. A variety of his song cycles, chamber works, incidental pieces, and sacred masses are scheduled to premiere throughout the next four years on recitals and concerts in Michigan, Illinois, New York, Massachusetts, Tennessee, Missouri, California, and London, UK. His newest original opera-ballet, The Elk Prince, will premiere in Marquette, MI in the fall of 2016. Candey is a student of the opera composer, Iain Bell.